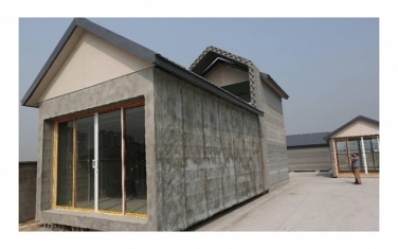 The Shanghai WinSun Decoration Design Engineering Co can now make 10 new houses in a day, using a giant 3D printer. The technique deposits high-grade cement and glass fibre material layer by layer, consistently building upwards to make components which are then assembled into 200 sq m (2153 sq ft) houses. The houses are being built in Shanghai’s Qingpu district and are estimated to cost just £2,800.00 each. This is somehow appropriate, coming from the people who invented printing almost 1,000 years ago, don't you think?